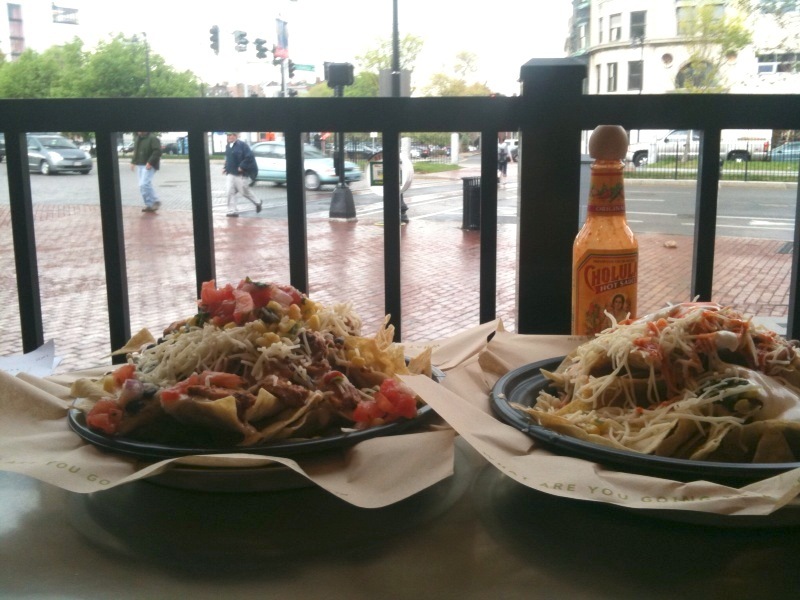 Hearing the boom (coming out your…nacho?)! After a long week of class and work and everything else, Nacho Patrol needed some crunchy refreshment. Thankfully the good people at Qdoba in Kenmore Square know how to treat us right. To anyone who doubts exactly how amazing fast food nachos can be should look no further than this photo. Crunchy, cheesy, stacked high with fresh toppings, beans, and meat, it’s the closest you will come to daily nacho heaven (for $6). Lurv!